In recent months we have had the pleasure of testing products from the Canandian based PROVINCE APOTHECARY who thoughtfully use local produce and seasonally appropriate farmer-friendly ingredients in a truly organic approach to skincare. Their specialty: wild-crafted, hand-blended, tailored skincare products. Both Sanam and I are in our thirties, having our own individual battles with sensitive skin over the years, between us, on a day-to-day basis, we wear very little, to no makeup at all. Given this, we've found that the correct skincare regime is something we both put great emphasis on. 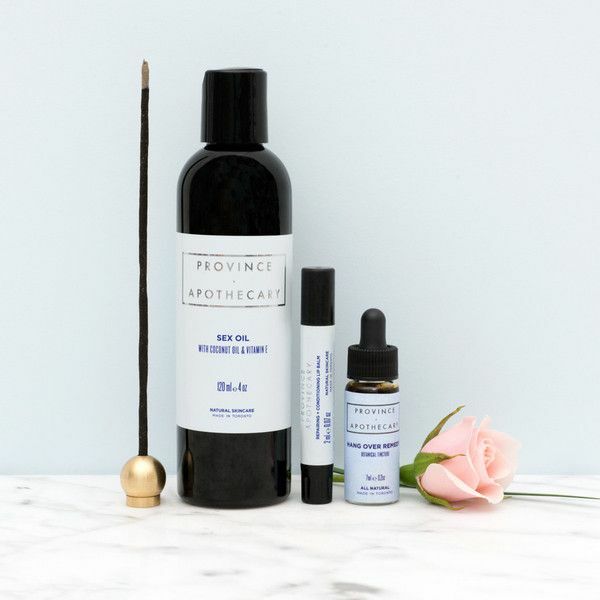 [ SM ] My family and I have dealt with sensitive skin, allergies and eczema, so I loved reading that Province Apothecary was built around the mantra of 'feeling good in your own skin'. The obstacle for us, when investing in skincare products, has always been navigating around these sensitivities. Can you speak to your own experience regarding this, as well as clients who use Province and experience some of these same sensitivities? As a former make ­up artist , I've encountered many clients whose skin couldn’t cope with the harsh chemical ingredients found in mass ­produced beauty products. 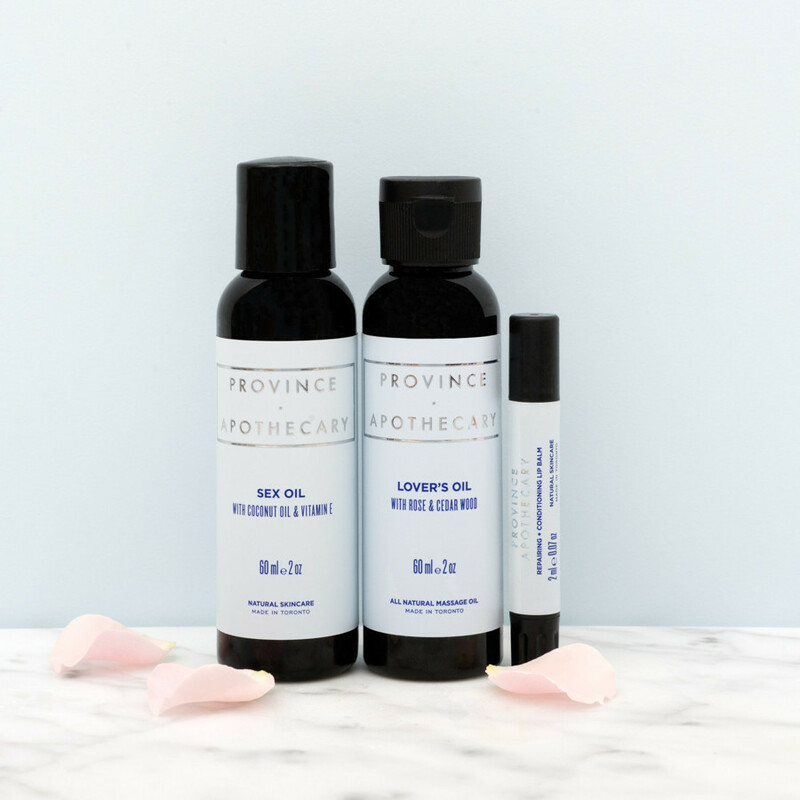 It feels great being able to use and recommend Province Apothecary products without worry. I know that having sensitive or reactive skin can also cause insecurities, but Province Apothecary's focus on sustaining natural beauty has also helped me re­-think my own insecurities. I feel more confident in my own skin; I don’t feel like I need to cover it up with make­ up. I know many of our clients feel the same way. [ KT ] Your product is cited as being ‘handblended,' can you explain what goes into that process, and how it benefits both the ingredients individually and together? Hand blending allows us to oversee production more rigorously than if we used a machine. Our production team meticulously measures, carefully blends, and mindfully pours all of our aromatic potions in to the packaging you see on the shelves. Everything is fresh, and made in small batches to ensure optimum quality. When our ingredients are handled with care, our clients see better results. [ SM ] In leading the way for green beauty, all of your products are organic, biodynamic and wildcrafted. Can you give us a better understanding of what biodynamic and wildcrafted ingredients are, from where they are sourced and how they benefit our skincare regime? “Wildcrafted” in that the plants or herbs are uncultivated; they grow without human help and are harvested from their natural habitats. Because they grow within protected environments they thrive without the use of pesticides or fertilizers.“Biodynamic,” on the other hand, refers to a method of farming aimed at creating a balanced, holistic farm eco­ system which respects the earth. Biodynamic farming means sustainable agriculture with minimal waste and zero chemicals. Wildcrafted or biodynamic herbs are also superior to commercially grown organic herbs because nature produces them in their ideal environments and under ideal conditions. When plants flourish they provide us with stronger, more robust health benefits when used in skincare. [ KT ] How do you feel the practice of ‘wildcrafting’ is the notion of being sustainably sourced and fair­ trade go hand-­in-­hand? It all comes down to ethics. We source responsibly 'wild­crafted herbs’ which means our herbs are never over­ harvested and are extracted with minimal environmental impacts. However, when we talk about sustainability we’re not just talking about making environmental changes, but social ones, too. Living more sustainably is a social challenge that demands a commitment to increasing the health and longevity of the people who produce the goods we consume. Fair trade supports the development of stronger communities, affording producers and their families more control over their futures while safeguarding the environments in which they live and work. [ SM ] I’m a huge fan of my Province Regenerating + Stimulating Exfoliator and have always been intrigued by Lavender, as an ingredient, given it supports the calming of irritations and blemishes. What are the benefits of exfoliation in your skincare regime and how often do you feel this should this be practiced? My clients know how I feel about exfoliation­ it’s one of the most important steps in a skincare regime! Exfoliating with a gentle scrub every three days prevents dead skin cell build up. It stimulates collagen and elastin production, smooths your skin’ surface, and brightens your complexion. It also allows all your other products to penetrate deeply and work efficiently, maximizing the value of your skincare routine. [ SM ] I actually collect lip balms as if I were an addict and adore your Province Lip Balm, however, my issue always comes down to texture in both application and wear. Too often I read and get excited about lip treatment and am then disappointed with both the method of application and wear. How do you feel your lip balm holds its own in a market over saturated with lip treatments? 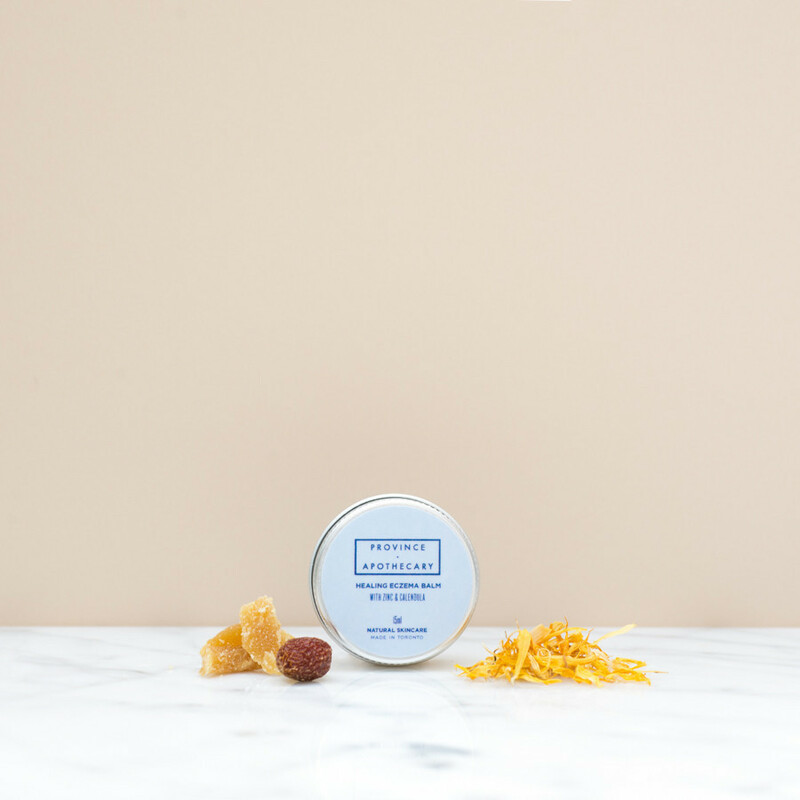 Our lip balm is the perfect choice for someone who is looking for something simple and effective. It has long lasting wear for supple, hydrated lips, and a refreshing natural scent. ­It’s filled with essential oils like Peppermint, Rosemary and Lavender . I’ve given it to some of my friends and they have all said it’ heir go ­to choice, no matter the season. Our formula is sure to soothe and nourish your lips any time of year. [ KT ] You have a treatment space in Toronto that looks incredibly inviting, each piece within the space carefully chosen and the result calm and somewhat homely. Can you tell us a little about the process you went through to construct and fit out the space and how that space ultimately aligns with your overall ethos? Julie has worked hard to create a beautiful, yet functional space.The walls are crisp and white. Throughout the space you can find bundles of herbs hung to dry and photos of raw materials. We like to fill our space with greenery; our clients love it, and we are purifying the air at the same time. It’s a small, simple space that focuses less on decor and more on highlighting our true passion: providing relaxing treatments and excellent products to our wonderful clients.